Many tech news sites are reporting that there was a false ad for Amazon this past week when you searched for the retail giant on Google. The ad, that would come first in the search results, did not take you to Amazon, but instead took to you to a site that tried to perpetrate a tech support scam. If you went to the site on a Windows computer the site would emulate the infamous blue screen of death and advise you to call a tech support number. If you were in an Apple computer you’d receive a warning that your machine had been infected by ransomware and again be given a number to call. As long as you didn’t call the number your machine would be relatively ok. This scam has been around for about as long as the internet has. 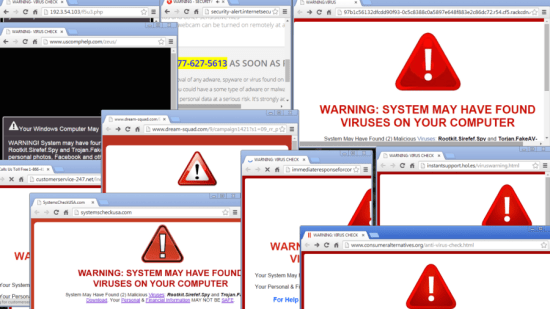 Fictitious sites would inundate you with pop ups telling you that your computer had been infected with some kind of malware and if you call an ‘official’ tech support number your computer will be fixed. When you call the number usually a ‘technician’ would gain access to your computer remotely with your permission and would use that opportunity to root around your computer for any information worth stealing. The problem with this particular scam is that it was perpetrated through Google, possibly the most perceived legitimate site on the internet. Google says that the problem has fixed but still leaves users concerned since this fake ad made it through their screening purpose. In the future users may want to not click on ads on Google’s search page and instead click on the listings instead, at least for now.